Posted Feb 19, 2019 by Eds. Sanctions against Venezuela are real and palpable mechanisms of destruction of the State, its identity and, with it, of Venezuelan society. They form part of a war strategy based on the application of diverse resources and sophisticated tools of financial hegemony against fundamental nodes of our national life. Although in Venezuela there are no bombs falling down and no U.S. Marines are seen disembarking along the coasts, there is plenty of evidence of the resources of permanent aggression, nationally and internationally, used on the part of corporate and political sectors. In this context, since 1999, the internal domestic of anti-Chavismohave alternated between low-profile mechanisms such as boycott or corporate disinvestment and forceful actions such as the April 2002 coup or the oil lockout. Since 2015, when the then president of the United States, Barack Obama, declared Venezuela as an “unusual and extraordinary threat to the national security of the United States,” the political vanguard and leadership in anti-Chavismoof the transnational elite that governs in Washington became irrefutable, they gave greater hardness to a string of measures that have determined not only the destruction of the national economy but also seriously modified the cultural perception of the issue. What can be understood from recent statements made by Jack Lew, former Secretary of the Treasury during the Obama administration, economic sanctions are the most effective and lower cost option to subdue an enemy, when compared to the common traditional power by force. Besides the fact that they have a direct and noticeable influence in the American finance market, the core of the global economy. Sanctions employed today are different, they are the modern channels to seize fortresses, just like in medieval times, an updated genre on this technologically smart and globalized era, where every nerve stimulated by the global power is towards twisting the arms of its enemies, said Lew. The financial blockade has mutated from the attack on the debt, through isolation by the US financial system, to the application of espionage techniques that chase after Venezuelan transactions and withhold funds destined for the import of food and medicines. Since then, Venezuela has suffered the effects of the fall in oil prices due to the fact that the United States agreed with Saudi Arabia to aggressively increase oil production in order to lower prices and affect important oil-producing countries such as Venezuela, Russia and Iran. In addition, the economy began to deteriorate due to a lack of income and by the activities of a company created in Miami in 2010, called DólarToday, which artificially devalued the value of the currency in order to induce an inflationary spiral. Venezuela lost approximately 60% of its national income that year. The Executive Order (13692) signed by the Obama Administration in March 2015 initiated financial blockade actions against Venezuela and, with it, the U.S. government made the economic attack against the country, legal. Based on the Emergency Law of International Economic Powers, activated at the constitutional level, to provide whichever administration with tools to “defend” itself from the threat. Under this pretext, the White House placed its financial system, through the Treasury Department, on alert with respect to Venezuelan financial operations. 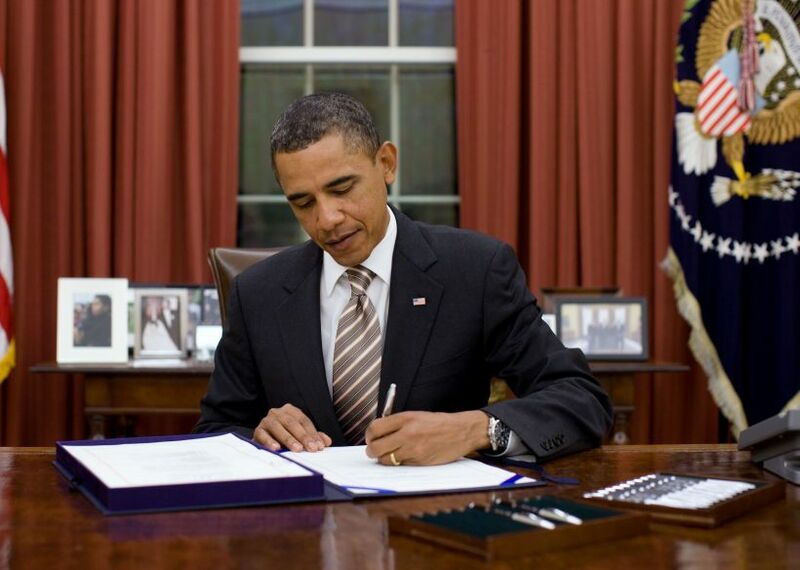 On March 5, 2015, Barack Obama signed an executive order declaring Venezuela “an unusual and extraordinary threat” to U.S. national security (Photo: White House). With the excuse of blocking the mobility of unproven personal accounts, until then, of seven Venezuelan officials, this legal instrument has forbidden the use of the U.S. financial system to import food and medicine by the Venezuelan state. At the same time, risk-rating agencies, agencies created by the United States to destabilize sovereign countries, published a global map of “risky countries”. This is to supplement the economic-financial siege against the Venezuelan government’s recovery plans, as a result of the fall in oil prices. Venezuela was catalogued by the French financial company Coface as the country with the highest risk in Latin America, similar to African countries that are currently in situations of armed conflict. The “study” was carried out based on the negative ratings of the three major U.S. rating agencies, Standard and Poor’s, Fitch Rating and Moody’s, which were largely responsible for the global financial collapse of 2008. From 2015 onwards, the country-risk variable began to increase artificially in order to hinder the entry of international financing and, until the first half of 2018, these three major rating agencies have stepped up their attacks against Venezuela, omitting the on time Venezuelan debt payments, in order to push the country towards default and project a situation of insecurity for potential foreign investment. In this context of siege based on social discontent produced by the fall in oil prices, scarcity, shortages and a wave of looting, anti-Chavismowon the majority in the National Assembly and structured a higher plane, now from the National Assembly, for financial aggressions against Venezuela. In April 2016, the International Monetary Fund warned of the “economic catastrophe” in Venezuela through a report, generating expectations of collapse, inflation and scarcity to legitimize the actions of economic warfare carried out by Fedecámaras and Consecomercio, the Venezuela’s two main associations of the private sector. The National Assembly, in contempt for incorporating three Deputies whose elections were demonstrably fraudulent, approved legal instruments in May and August that declared “null” the oil contracts, foreign investments and the emission of new indebtedness on the part of the country, trying with it to prevent fresh money from entering the State coffers. During 2016 and 2017, Venezuelan accounts in the United States were closed by large private banks, such as Citibank and JP Morgan, because Executive Order 13692 empowered the Treasury Department to use surveillance mechanisms for Venezuela’s financial transactions in the United States. With the excuse of protecting its financial system from “corrupt officials,” the aim was to isolate Venezuela from the U.S. financial system and obstruct both its imports and the payment of foreign debt. Commerzbank, Germany’s second-largest bank, joined in. In July 2016, the country risk index EMBI, created by JP Morgan Bank, placed Venezuela with the worst score in the world (2640 points) below countries at war like Ukraine, even though the Venezuelan state paid 6 billion dollars in foreign debt that same year. In September, PDVSA made an offer to swap US$7.1 billion in bonds in order to ease its payments, and the three major U.S. risk-rating agencies sought to frighten investors by declaring default if they agreed to Venezuela state-owned oil company’s proposal. In November, JP Morgan issued a false default alert on an alleged PDVSA debt default of 404 million dollars to generate fear in the financial world and damage the image of the state-owned company. The US oil company ConocoPhillips also sued PDVSA before a Delaware court for its bond swap operation in order to frighten the participants and thus make the operation fail. 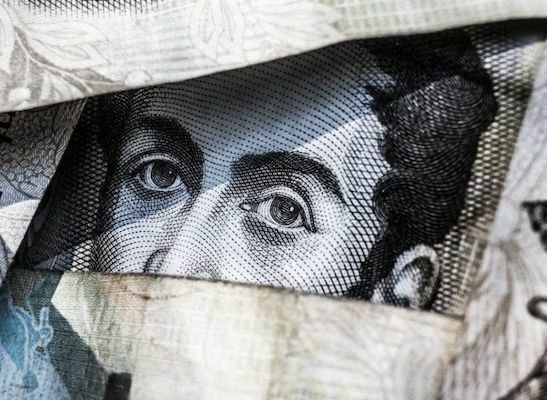 In this aggressive environment against the Venezuelan economy, inflation through the DólarToday effect closed at approximately 800%, according to figures leaked to some international agencies. In April 2017, the illegally elected president of the National Assembly, Julio Borges, demanded that more than 20 international banks cease their economic and financial ties with Venezuela. In May, he declared the purchase of US$865 million in PDVSA bonds by the U.S. bank Goldman Sachs, “null”. In his eagerness to coordinate financial and economic sanctions against Venezuela, and using the National Assembly as an instrument to legitimize the financial blockade, Borges met with the then White House national security advisor General H.R. McMaster. In this way the financial blockade prevented the country from importing food and medicines necessary for its survival. Supported by the United States and the OAS, Venezuelan anti-Chavismoundertook a new escalation of chaos and violence more intense and dangerous than that of 2014, which caused millions of dollars in losses to the country and left a lamentable toll of 130 dead and thousands injured. Likewise, the United States sanctioned more than 20 Venezuelan officials, representatives of all public powers and responsible for maintaining internal order, as a measure to feed the chaos of the violent street protests (guarimbas). As an extreme measure, President Nicolás Maduro called in May for the election of a National Constituent Assembly (ANC), whose election took place in July amid intense violence. More than 8 million Venezuelans participated in the election and with it a traumatic scenario of violence was brought to an end. The country regained political and social stability in the face of a cycle of aggressions aimed at removing President Nicolás Maduro and destroying the current constitutional framework. Between August and November were the most dynamic days of the aggression against Venezuela that year. When the guarimbasfailed, Europe entered the destabilizing game; in August the Swiss bank Credit Suisse prohibited its clients from making financial transactions with Venezuela, as Julio Borges had requested in April. In an executive order, Trump prohibited the purchase of Venezuelan debt and the repatriation of dividends from CITGO, PDVSA’s U.S. subsidiary, thus closing two key financing channels for a Venezuela devastated by the guarimbas. The U.S. then began executing an undeclared oil embargo. U.S. private banks, pressured by the Treasury Department, refused to issue letters of credit for the purchase of Venezuelan crude oil, thus negatively affecting the nation’s revenues. PBF Energy, one of the largest refineries in Venezuela, had to give up its economic ties to the country as a result of the sanctions. In September, the Treasury Department, through its Financial Crimes Control Network (FINCEN), issued an alert called “red flags” that imposes a surveillance and control system on Venezuela’s financial transactions to prevent the payment of food and medicines while, as a result of Trump’s sanctions issued in August, CITGO began to have difficulties acquiring crude oil for its refineries and keeping its operations stable. In this context, some 300,000 doses of insulin paid for by the Venezuelan government did not reach the country because Citibank boycotted its purchase. At the same time, the disembarkation of 18 million CLAP food boxes into Venezuela was interrupted by the obstacles imposed by the U.S. financial system, given that its authorities closed 52 Venezuelan bank accounts in entities such as Wells Fargo, East and City, because of their owners supposed links to the Venezuelan government. 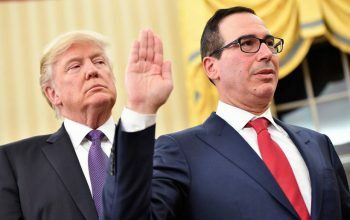 As Treasury Secretary, Steve Mnuchin, was in charge of pursuing Venezuela’s transactions through technical measures (Photo: The Nation). While this was happening, regional elections were held with more than 11 million votes in the entire process. Chavismo won 19 out of 23 governorships in elections called by the ANC, in which anti-Chavismopolitical parties such as Acción Democrática and Voluntad Popular participated. In spite of this, even though in the last three years Venezuela never stopped honouring its international commitments, in November the European company Euroclear, founded by JP Morgan, decided to withhold 1,650 million dollars that were destined to the purchase of food and medicine. The Americas Committee of the International Swaps and Derivatives Association (ISDA) declared Venezuela in default, ignoring the payment of 70 billion dollars in debt in the previous two years. While JP Morgan again increased Venezuela’s country-risk to 2,989 points, the worst figure since 2014, when it stood at 1,458 points. Risk-rating agency Standard and Poor’s declared Venezuela in “selective default” because it was unable to honour debt commitments because the sanctions limited the country’s financial transactions in the U.S. payment system. 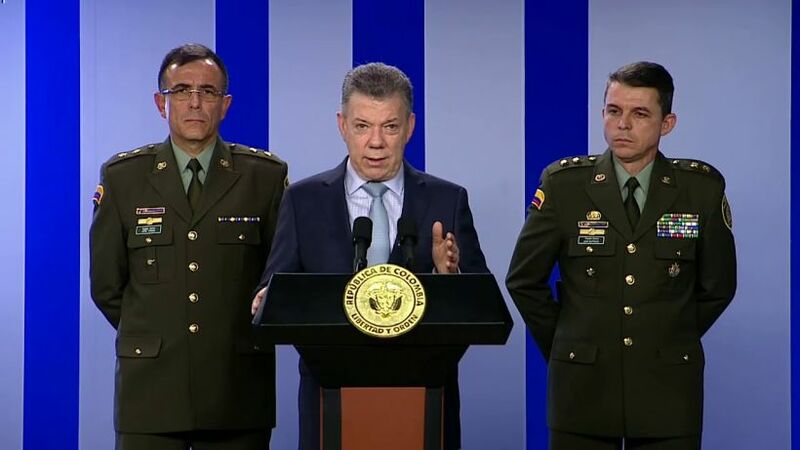 With these manoeuvres they tried to open the door to the confiscation of PDVSA’s assets. That same November the U.S. bond manager Wilmington Trust accused Corpoelec (Venezuela’s national electricity company) of not cancelling debt interest in the order of 27 million dollars, just when the country was experiencing a total blockade of means of payment in the U.S. financial system. So much so that a shipment of Primaquina, a medicine used to treat malaria, did not enter the country because of the blockade of a Colombian laboratory called BSN Medical, and 23 operations in the international financial system were returned: a total of 39 million dollars for food, basic supplies and medicines. In December, 19 other Venezuelan bank accounts abroad were arbitrarily closed by U.S. banks, preventing payments to creditors, while Venezuela’s right-wing opposition decided not to participate in the municipal elections after its defeat in the October regional elections. Chavismo again won by landslide gaining more than 95% of all mayors. In January 2018, the current CIA chief and U.S. Secretary of State Mike Pompeo said at a conference at the American Business Institute that the financial sanctions against Venezuela had been coordinated by him directly with President Trump. At the same time, eleven Venezuelan and PDVSA bonds, worth 1.241 billion dollars, could not be paid to their creditors because of the obstacle of the sanctions. The National Assembly (still in contempt) passed a motion in which it criminalized the Venezuelan cryptocurrency the Petro, confirming its desire to keep the country without sources of financing. In March, the Trump Administration, by executive order, declared illegal the purchase or other operations related to the Petroby U.S. companies and citizens. With this manoeuvre it legalized the agreement of the National Assembly affecting the initial pre-sale and the resources that would enter the country in a context where another 2,500 million of dollars belonging to Venezuela were retained in U.S. banks. Much of this money was to be used to pay international creditors. In that month, fifteen Venezuelan boxers were unable to travel to the 2018 Central American and Caribbean Games (CAC) qualifying event in Mexico due to the financial sanctions that prevented the processing of payments for logistics. Once this stumbling block was overcome, the next drama was that Colombia blocked its air space for these boxers to make the trip. The Colombian government blocked 400,000 kilos of food in CLAP boxes that would enter the country to strengthen this food program with which more than 6 million families are fed throughout the country. In April, the United States and Colombia created a financial intelligence group to block the import of food and medicines, internationalizing financial suffocation. And in May, the U.S. oil company ConocoPhillips executed a series of embargoes against PDVSA’s assets for claims of a 2.4 billion dollar arbitration award demanded of the International Chamber of Commerce. This manoeuvre not only affected its existing capacity in the international arena, but also limited the country’s income from the sale of crude oil, thus intensifying the damage to the heart of the national economy and seeking to further dissolve the social fabric that sustains part of the stability. This was joined by the Canadian-owned mining company Rusoro, which filed a lawsuit seeking to join the assets of CITGO and some of PDVSA’s as payment for an arbitration prize of 1,200 million dollars. The Canadian contractor SNC-Lavalin also sued PDVSA for more than 25 million dollars for alleged non-payment of debt, before a New York court. Thus, the United States reinforced its policy of financial suffocation and sequestration of Venezuelan resources by limiting both the sale of Venezuelan oil assets on U.S. soil and the settlement of accounts receivable, in retaliation for the presidential triumph of Chavismo on May 20. In turn, the countries of the Lima Group agreed, following Trump’s policy, to use the financial intelligence of their respective states to chased after Venezuela’s transactions, accounts and financial operations. The result of all this was a sharp drop in imports, which went from 60 billion dollars a year between 2011 and 2013 to a total of 12 billion in 2017. One of the culminating points of this phase of aggression, without a doubt, is the embargo of PDVSA’s company on U.S. territory, CITGO, announced by the director of the National Security Council, John Bolton, consistent with the imposition of an oil embargo against the country. This seeks to further damage the ability to obtain financing for Venezuela and, therefore, pay for imports, given that the effects of this virtual embargo are, according to The New York Times, immediately “atrocious”, considering that in the first week of its imposition Venezuelan oil sales to the United States declined by 40%. Thus, the scenario of a “humanitarian crisis” that has been configured serves the interventionist pretensions that underpin Juan Guaidó’s “interimship” in the framework of a definitive strategy to assault our resources and our national dignity. Historical data show that the financial blockade has set the stage for the intervention and international recognition of a parallel government (Libya case), create economic incentives for mercenary movements stimulated by the CIA (Yugoslavia case), weaken the armed force of a government not aligned with Washington and strengthen the firepower of paramilitary groups (Syria case), fracture the political-military high command using the precariousness of the population as a means of political pressure (Cuba case) or the affectation of the oil industry and internal conditions to impede energy development as a political weapon (Iran case). The financial blockade against Venezuela pursues the massive destruction of the national economy, the dismantling of the social achievements of the Chávez era and the affectation of the poorest population that since 1998 has proved to be the most solid political basis of Chavismoand, above all, the undermining of national confidence that the country’s internal potential (its population and strategic resources) can provide the necessary resources to regain stability. In short: to deny altogether the right of a nation to self determine its own solutions in the face of difficulties, and to decide its own future beyond the decisions taken in a few offices far away from the country.